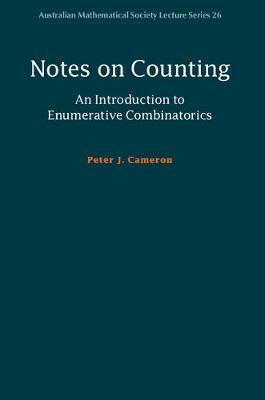 Enumerative combinatorics, in its algebraic and analytic forms, is vital to many areas of mathematics, from model theory to statistical mechanics. This book, which stems from many years' experience of teaching, invites students into the subject and prepares them for more advanced texts. It is suitable as a class text or for individual study. The author provides proofs for many of the theorems to show the range of techniques available, and uses examples to link enumerative combinatorics to other areas of study. The main section of the book introduces the key tools of the subject (generating functions and recurrence relations), which are then used to study the most important combinatorial objects, namely subsets, partitions, and permutations of a set. Later chapters deal with more specialised topics, including permanents, SDRs, group actions and the Redfield-Pólya theory of cycle indices, Möbius inversion, the Tutte polynomial, and species.